Every winter I do a lot of headshots for clients coming to Minneapolis from out of the state. Most often, people are traveling home for the holidays and use the downtime to get new photos. Throughout the rest of the year I get people coming in from outside of the city that haven’t spent a lot of time in Northeast. Want to explore the neighborhood after your headshot session? 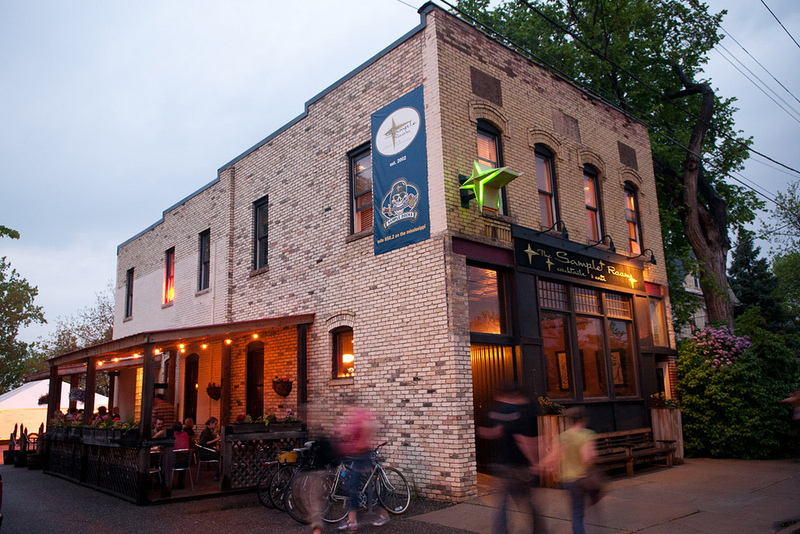 Here’s a list of my favorite places for food and drinks in Northeast Minneapolis. My favorite place in Northeast is The Sample Room. For lunch or dinner it is always my top recommendation. Young Joni – New to the neighborhood, they are a stylish pizzeria serving wood-fired pies, Korean-inspired grill fare & cocktails in a hidden bar. This is another one of Ann Kim’s (of Pizzeria Lola) restaurants. Maya Cuisine – Casual Mexican food. El Taco Riendo – Very casual. Very delicious. Holy Land – Middle Eastern deli attached to a market offering traditional from-scratch eats & a lunch buffet. Hai Hai – Modern Vietnamese street food & craft cocktails. This is on my list to try, but trusted friends say it’s great! Eastside Food Co-op – A traditional co-op that’s perfect if you need to grab something on your way home or need a quick snack. Their grab and go food is great. Glam Doll Donuts – What else is there to say? Diamonds Coffee – Kitschy and casual. Maeve’s Cafe – Relaxed and cozy. Mojo Coffee – This used to be called Mill City Cafe and is located in the California Building, owned by the same people as the Casket Arts Building that I’m in. Matchbox Coffee Shop – Cash-only and very small coffee shop with outdoor seating. Anelace Coffee – Rotating selection of single-origin coffees, espresso drinks & pastries. Spyhouse – Located in a restored warehouse, this is a rustic coffee shop with large windows & a patio. There are also many bars and breweries around, but I’ll leave that to Yelp. Did I miss something? Want to share your favorites? Go ahead and leave a comment.